On January 4, 2019, the United Nations observed the first official World Braille Day to raise awareness of braille. January 4 marks the birthday of Louis Braille, the creator of the code that brings access to the written word for people with vision loss. This code provides access to information, is a method of communication and a way to provide education for individuals with limited or no sight. January always seems to me to be a good time to talk about braille. People come to me asking to learn braille, but they often have not really thought about what to do with the knowledge once they have learned the code, even after many hours of study! Here is a re-post of a blog to help you think about why you want to learn braille and what you might do to make braille work for you. Why are You Thinking about Learning Braille? I need to learn braille now because I might go blind and need it someday. I want to learn it while I still have some vision. Before you jump into lessons, think about why you want to learn braille. If you already use magnification or large print labels to identify items and to keep track of information, then you don’t need braille. On the other hand, if reading large print is difficult and frustrating, then braille could make life easier. Sometimes using braille just makes tasks faster and can be a great option. Check out this opinion by a person with low vision who learned braille. You can learn braille while you still have sight, but you may not remember it later. Learning to recognize the letters by sight doesn’t help your fingers learn to read it by touch. If you learn braille when you don’t need to use it, you will lose it! A great way to start developing your sense of touch and learning how braille is read with your fingers and hands is to take Hadley’s Braille Literacy 1 course. If you are already learning braille but are having difficulty getting your fingers to flow over the braille words, this course will help improve fluidity with your reading. If You Decide Braille is a Good Option for You, USE it Right Away! Still Not Sure if Braille is the Tool for You? Talk to a certified vision rehabilitation therapist. These professionals are visual impairment specialists. Their job is to help you determine if braille is the best option for your goals. A vision rehabilitation specialist can also help you find other options to meet your needs. Many people with vision loss don’t read braille. They have developed other strategies involving technology and/or other tactile methods to maintain their independence. But, those who do use braille use it every day and can’t imagine life without it. If the methods you are currently using are not working for you, then braille might be the new tool to have in your toolbox. Join Us at Second Sense for Braille Game Day! To give our Second Sense braille students an opportunity to make use of their braille in a real way, we are organizing a monthly “Braille Games” session. Even if you never plan to read a novel in braille or just use it to label items, come join us. 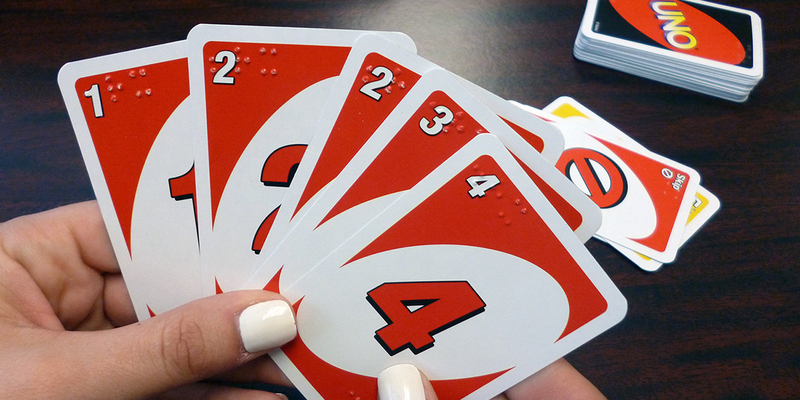 Playing games such as braille card games or scrabble is a way you can use braille to interact and have fun with your sighted family and friends. If you would like to talk to me about whether braille is for you or to join our Braille Game Day on the Last Friday of the month, please give me a call at Second Sense.